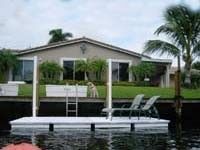 ACCUDOCK Floating Docks offer solutions for all types of outdoor activities. Whether it is Kayak Docks or Floating Docks for residential customers or Floating Platforms for commercial applications or Rowing Docks for clubs and universities, we have a great selection that can be customized to suit your specific needs. Call us at 1-888-219-0112 today and we can assist you in planning your floating dock project and customizing your dock with a great selection of Accudock-floating-docks additional dock accessories – dock bumper, dock cleats, dock ladders, dock benches, etc. Accudock Floating Docks are light-weight and portable, easy to install, and lasts for years to come. In addition, many different configurations can be designed with Accudock Floating Dock Systems. Accudock Floating Docks – From small floating docks to Marinas, the Accudock’s lightweight and portable modular floating dock sections create any size and shape residential or commercial floating dock you can dream up! Accudock Kayak Launchers are ideal for launching kayaks, canoes, or small boats. Just pull off and tie off. The Kayak boat slip comes in different lengths and widths and adjustable slip widths. Dock surface is only 7″ off the water and with the “entry-exit assist bar”, getting on and out of kayak-launcher your kayak is easy. The “H” Dock Rowing Shell Floating Dock System incorporates aspects of the very popular “slip dock” while allowing any size width and length vessel to be safety entered and exited – using over two floating dock platforms. Accudock Work Floats are handy for working on boats and other watercraft. A work float is an unframed (no aluminum frame included) single float unit measuring 4×8′ and weighing only 67 pounds. It can be retrieved from the water easily by one person. Accudock Rowing Docks offer a low profile floating dock specifically designed for the rowing community. Our 6″ docks sit 5″ off the water’s surface which allows rowing sculls to hug the edge of the dock and the outriggers to easily clear the dock surface. Being used in regattas and at universities across the world, Accudock Rowing Docks provide rowers with superior ease of launching their sculls.